Deemed to be the best home design show in the world, Grand Designs features the journey of houses that are designed and constructed by inspirational builders all over the UK. First aired in April 1999, Grand Designs is presented by none other than the British self-build authority and design expert, Kevin McCloud. A well-known designer and a passionate writer, Kevin has written several books about decorating, such as Kevin McCloud’s Decorating Book (1990), Techniques of Decorating (1995), Kevin McCloud’s Lighting Book (1995) and The Complete Decorator (2006). His exceptional prowess in presenting, designing and writing combined have earned Kevin several awards, such as an honorary degree of Doctor of Design from Oxford Brookes and Plymouth University in 2005, an Honorary Fellowship of the Royal Institute of British Architects (RIBA) in 2006 and an Honorary Fellowship of the Society of Light and Lighting (SLL) in 2009. Kevin was also appointed Member of the Order of the British Empire (MBE) in 2014. With his extensive knowledge in home development, Kevin continues to unfold stories in lifestyle, architecture and technology in front of a global audience, as he presents the immensely popular Channel 4 TV series, Grand Designs. Now in its 18th year, Grand Designs is one of channel 4’s hit series that closely monitors renovation progress in each house. From floor plans and other project designs, to their execution and supplier information, Grand Designs gives details about the latest innovations and techniques in home building, designing and refurbishing. Apart from the series, Grand Designs has also further expanded its brand with its very own “The Best of Grand Designs” book, “Grand Designs” magazine, “House of the Year” architectural awards and “Grand Designs London Live” bi-annual exhibition. The Royal Institute of British Architects annually presents the House of the Year awards, with some of the nominated houses having been featured on Grand Designs. In Grand Designs: House of the Year, Kevin McCloud visited contemporary and cutting edge homes that were running for the RIBA House of the Year 2015 and 2016 Awards. Flint House in Buckinghamshire won the 2015 RIBA House of the Year Award. The house features a flat landscape that is constructed of masonry with flint cladding – a contemporary design by architect, Skene Catling De La Pena. In 2016, it was awarded to the Murphy House in Edinburgh. Built by architect, Richard Murphy, the modern design is a spacious home that sits amongst 18th century homes. A limitless range of home design possibilities were featured in last year’s Grand Designs: House of the Year series. With railway sleepers being a recurring trend, several homes that have appeared on the show make use of this design element, including the Private House 1109 in Cheshire, which was designed by the GA Studio Architects. The home features a striking cladding to create a calming finish that blends seamlessly into the surrounding landscape. 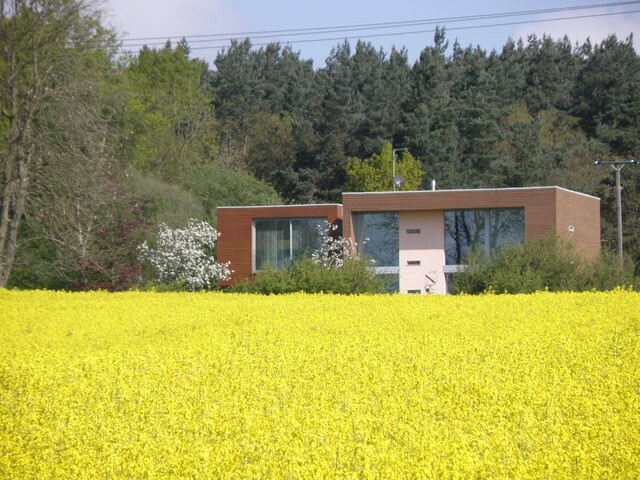 Another home shown on Grand Designs was the Outhouse by Loyn & Co Architects. The luxurious home features exterior cladding finishes that perfectly match the overall design of the home – creating a warm, welcoming and yes, striking ambiance. Doma Architects also redesigned the exteriors of a property in Harrogate using railway sleepers – crafting a unique finish to the small extension of the home. Don’t be the last to experience these impressive transformations! With an endless list of home project possibilities, all you need is the materials to help you get started. For high quality oak railway sleepers, contact Railway Sleeper on 01536 267107.